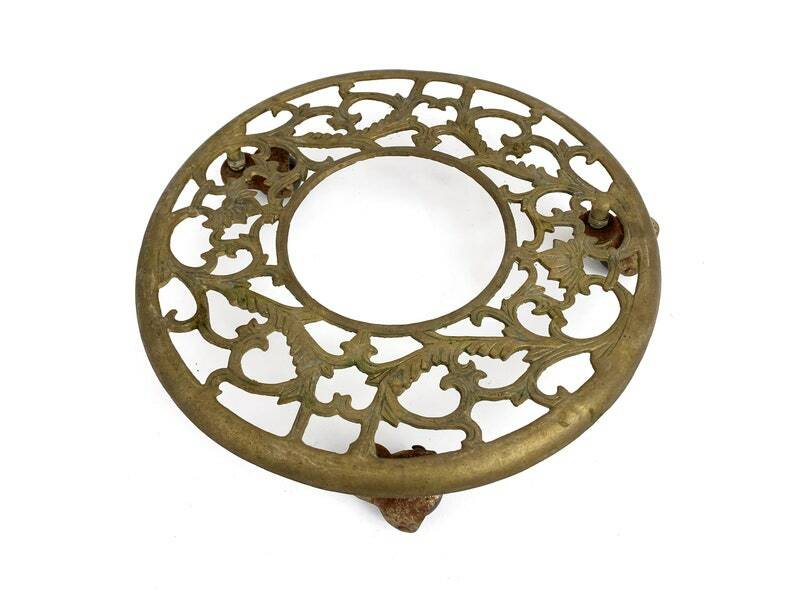 A vintage brass rolling plant stand -- ornate detail. Two available -- patina may vary slightly from picture, but the overall condition is the same. Brass shows some wear and corrosion from age, especially on the wheels. Wheels turn freely.